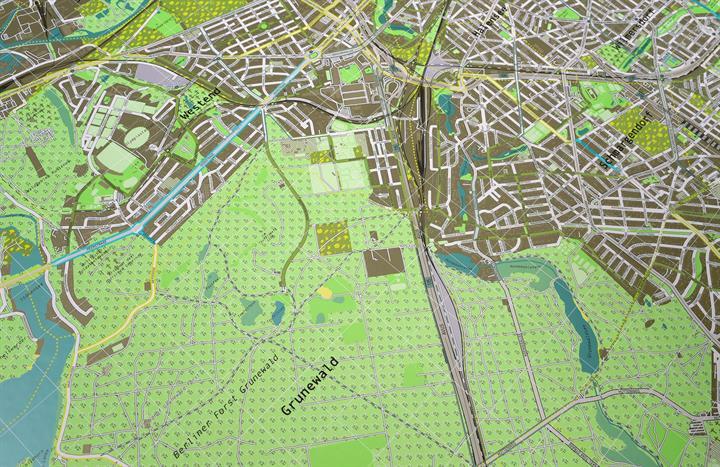 Berlin, like London, is a big old sprawling city that has grown organically over the centuries, so it makes a delightfully intricate and mesmerising map. 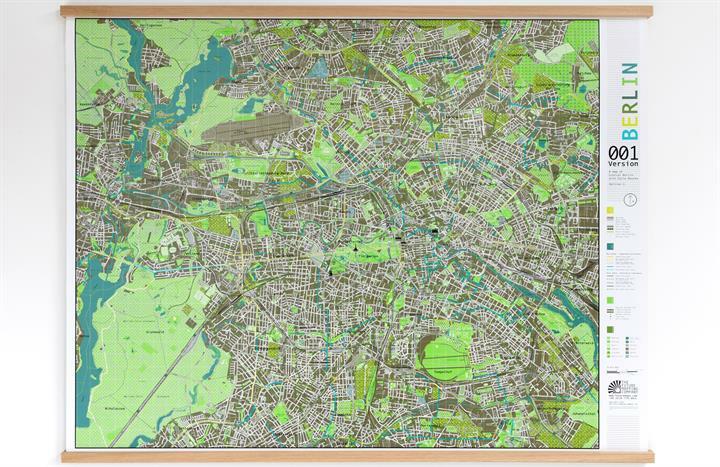 Today it's famous for being, in Bowie's words, 'the greatest cultural extravaganza that one could imagine'. 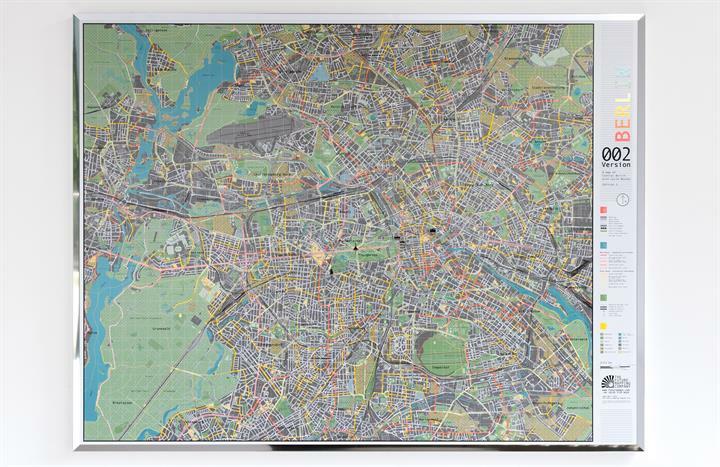 With the longest open air gallery in the world, over 180 museums, three Unesco world heritage sites, three grand opera houses and infamous night life that begins at midnight and ends two days later, it felt high time this cultural behemoth had its own Future Map. 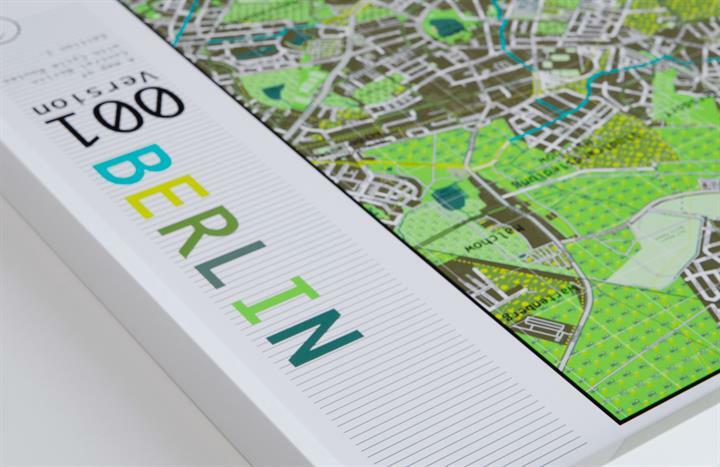 You'll enjoy pronouncing the longest German names on the shortest of streets, winding around the vast array of hyper-organised cycle routes, sculling your imaginary boat along some of the city's 180 kilometres of rivers and canals. 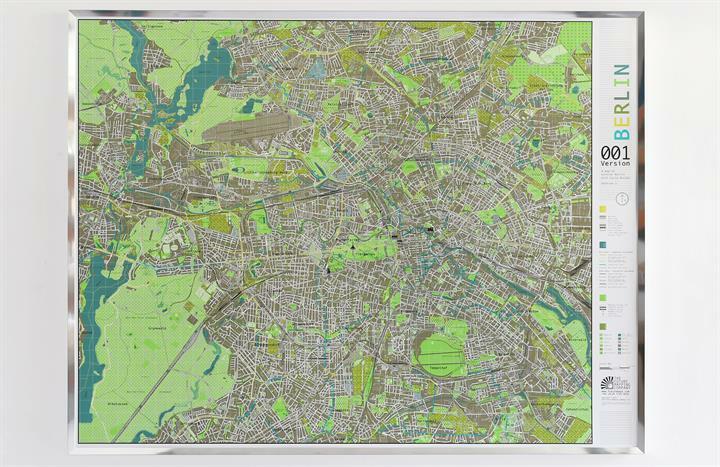 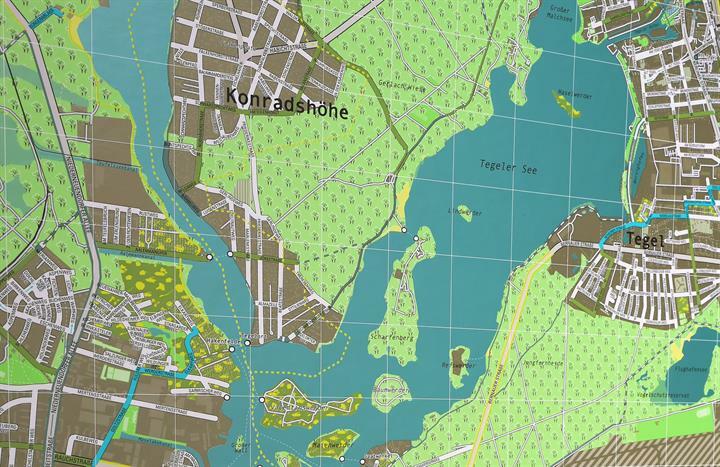 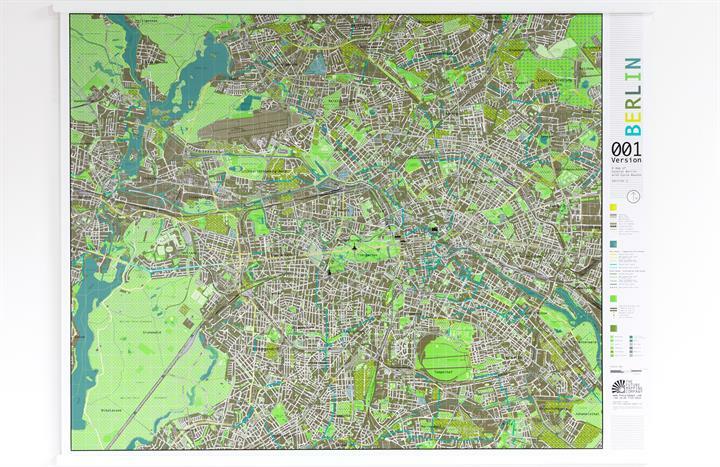 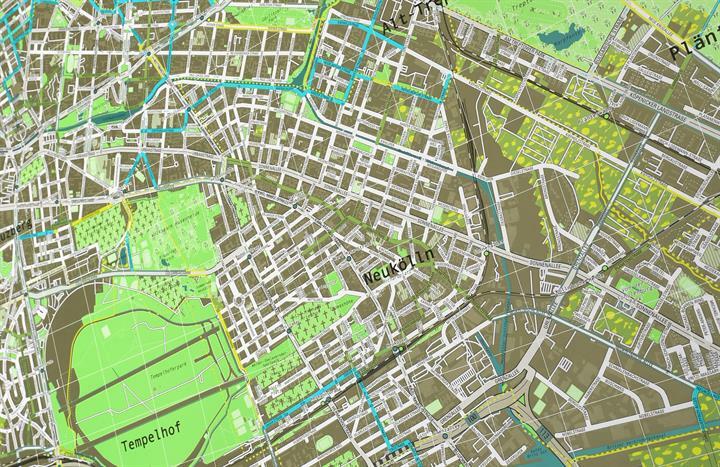 This map dazzles in blue and green with all of Berlin's natural beauty; nearly half the city is composed of parks, allotments, woods and rivers. 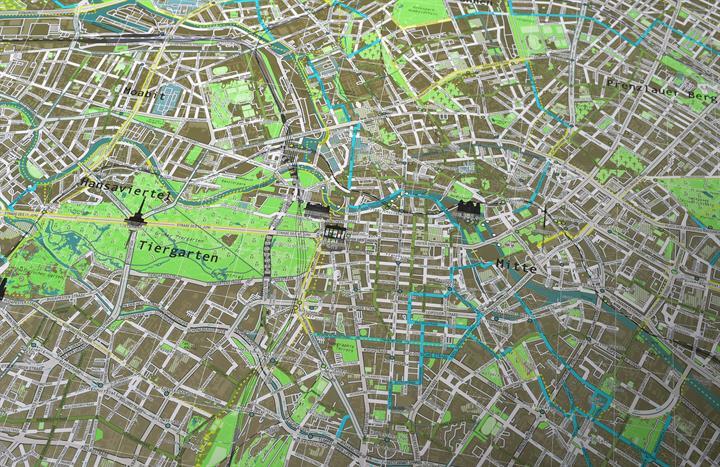 Plan your next journey from Charlottenburg to Neukölln, Checkpoint Charlie to the East Side Gallery. 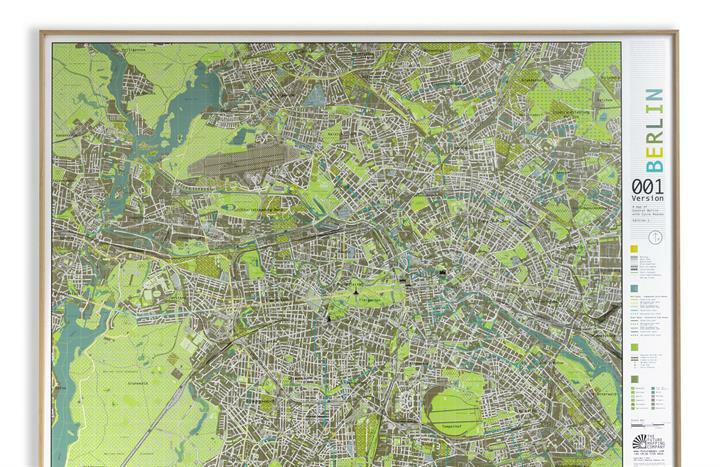 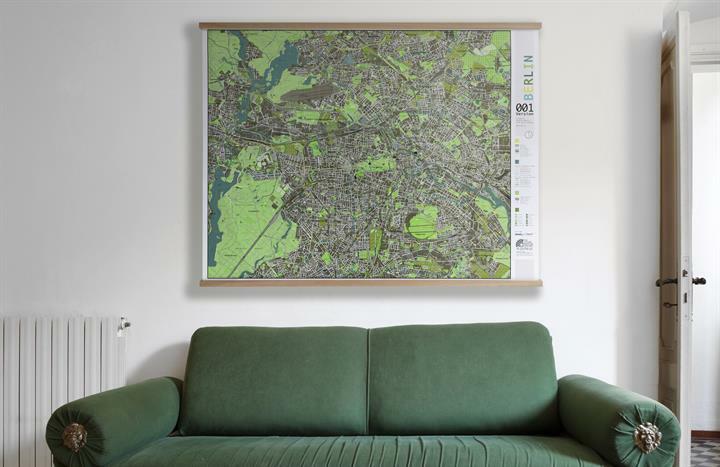 Whether walking or using the U-bahn, there's no greater shortcut to feeling like a local than absorbing the lie of the land by having a real-life map on the wall. 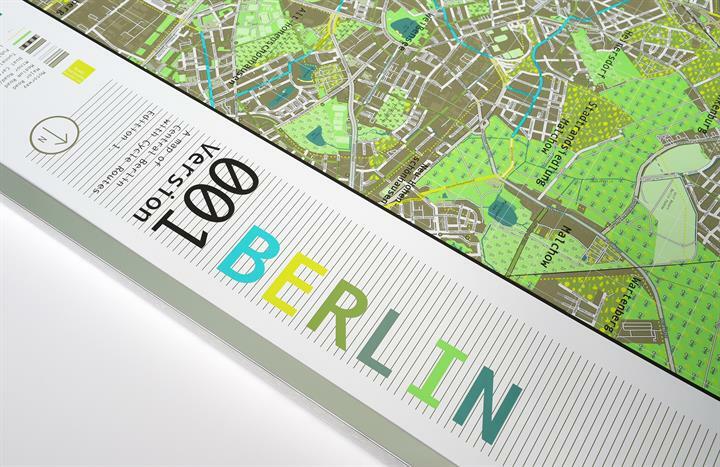 Ich bin ein Berliner, du bist ein Berliner: now we can all feel like Berliners, if only we can stay up late enough to join the party. 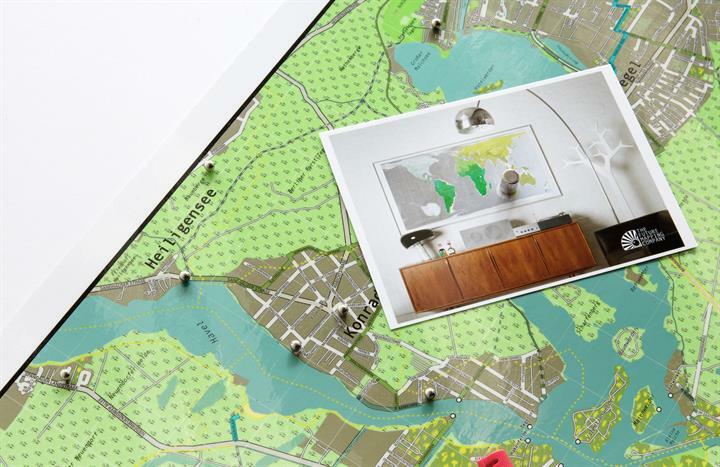 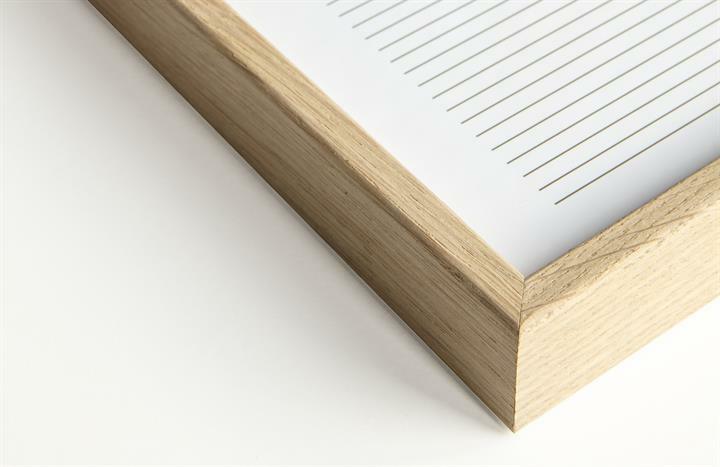 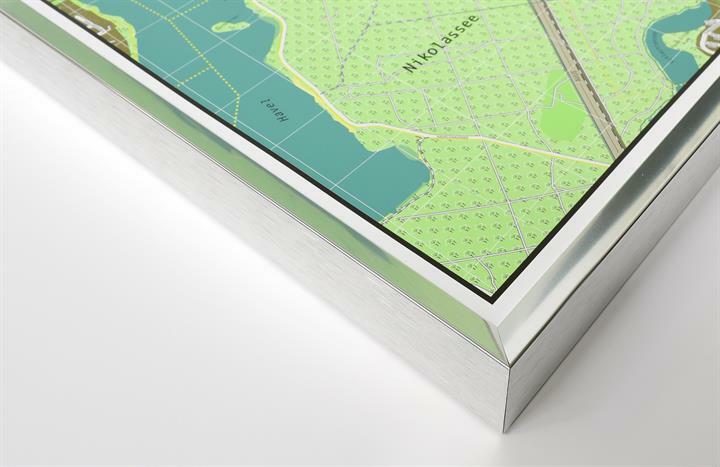 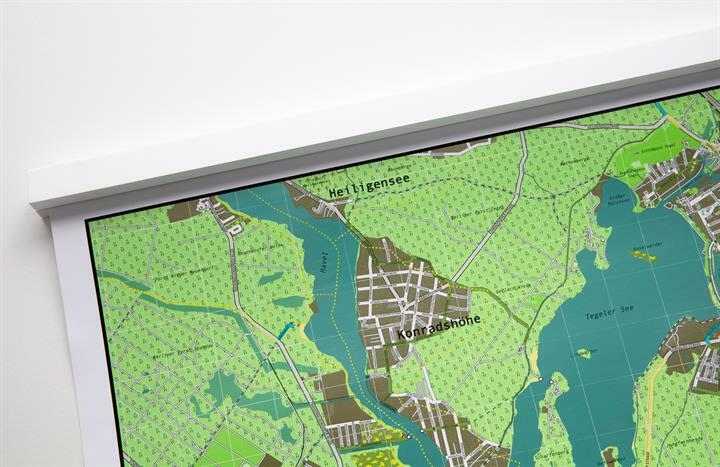 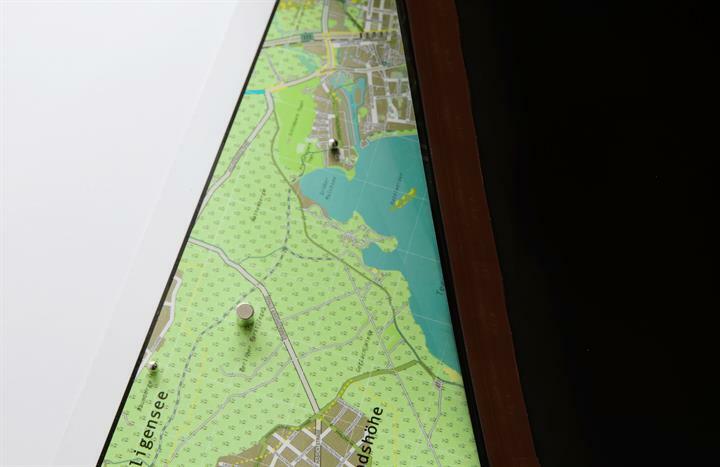 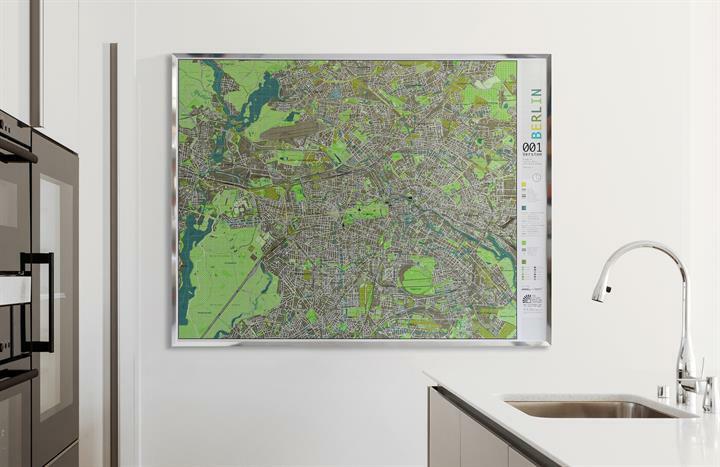 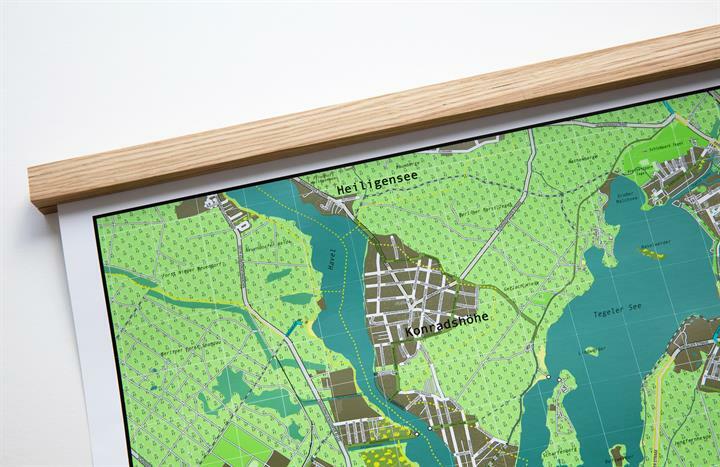 We print our maps on the highest quality FSC approved silk-coated paper.